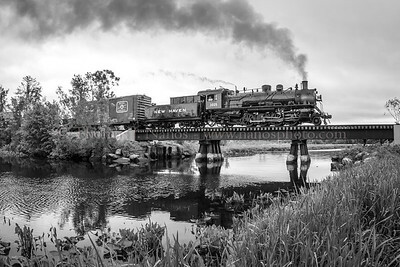 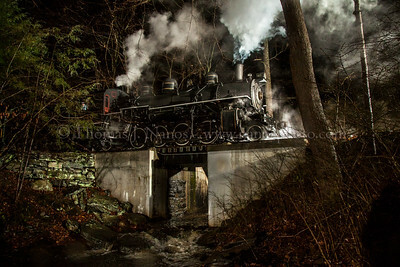 A two frame composite photo of Valley Railroad No 40 leading a North Pole Express through the Centerbrook section of Essex, Connecticut. 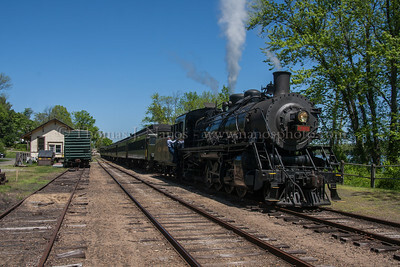 Two Valley Railroad North Pole Express trains meet at the North Pole, otherwise known as Deep River Landing. 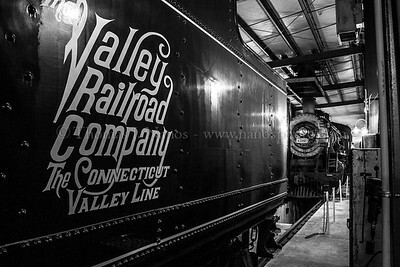 Valley Railroad Mikado No 40 heads north through Chester, Connecticut past a decorated ex-CV hopper. 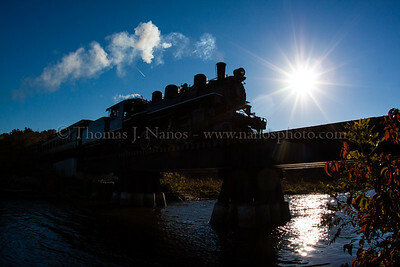 A Valley Railroad North Pole Express heads through Deep River, CT on their way to the "North Pole" to pick up Santa and his elves, so they can visit with the families on board. 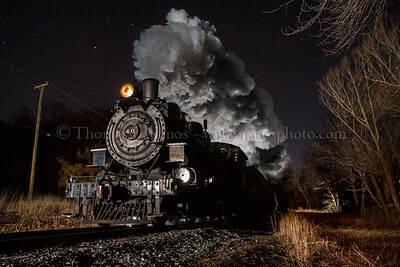 The Valley Railroad's North Pole Express runs in two sections each night. 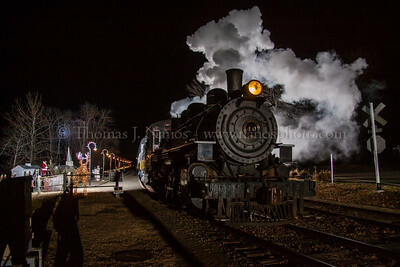 Here train #2, with Valley veteran No 40 in charge, arrives in Deep River to pick up Santa and his elves for the train ride. 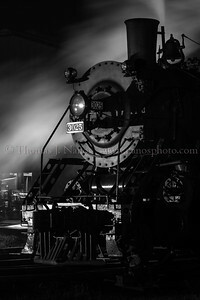 Three flashes light up the scene. 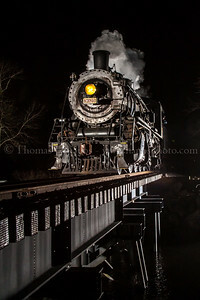 The Valley Railroad's two Mikados - Nos 40 and 3025 - are tied down in the railroad's new enclosed engine servicing facility after the second night of North Pole Express trains. 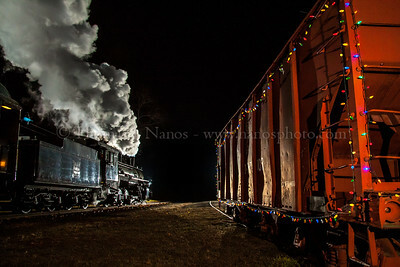 The Valley Railroad's highly popular North Pole Express trains have begun. 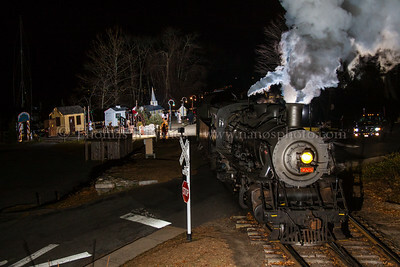 Here's one on 11/30/2012 pulling into Deep River, CT - otherwise known as the North Pole - to pick up Santa and his elves for the trip. 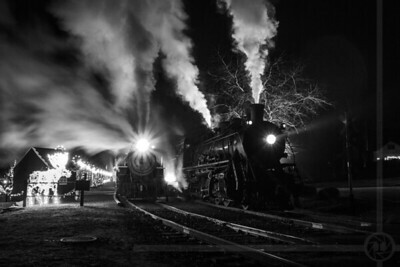 Three flashes iluminate the scene. 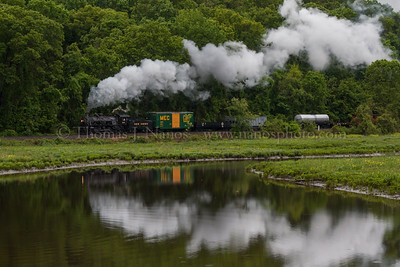 Pratt Cove Reflection Valley Railroad Mikado No 3025 leads a photo freight past Pratt Cove in Deep River, Connecticut during the first day of the Lerro Productions two-day photo charter. 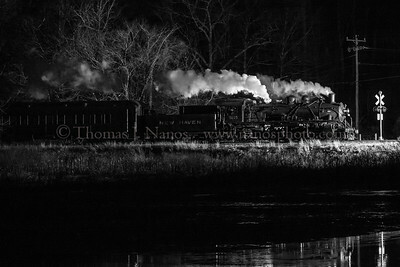 Valley Railroad Mikado No 40 backs a sold-out North Pole Express over Waterhouse Brook in Chester, Connecticut on a cold and rainy December evening. 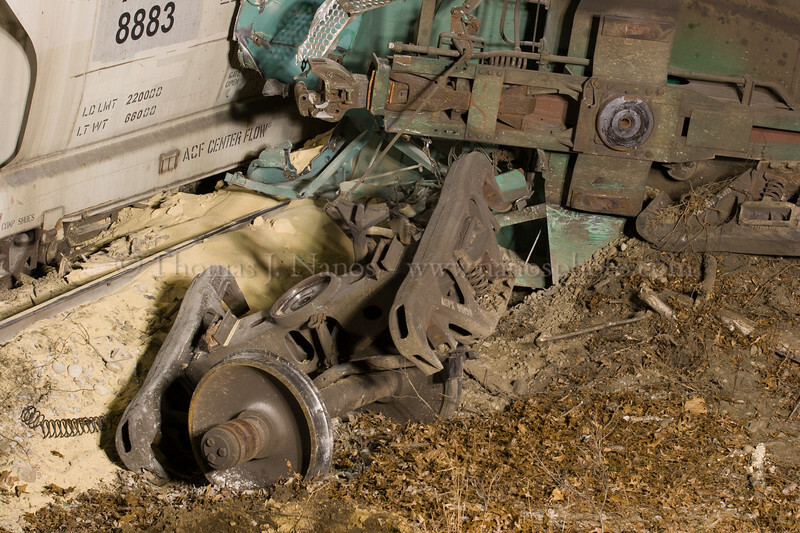 NOTE: This location is ENTIRELY on private property. 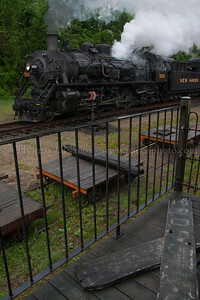 I had permission from the owner to set up on his property for the shots. 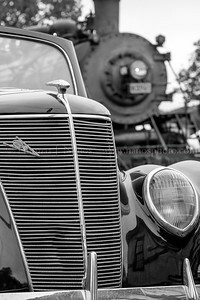 A closeup look at the nose of a Ford, and the nose of a Mikado. 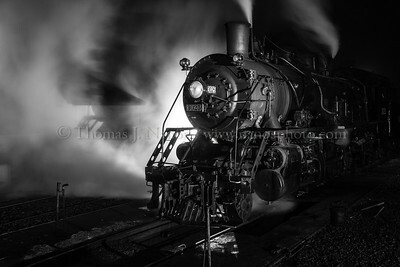 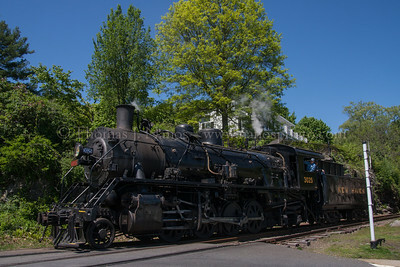 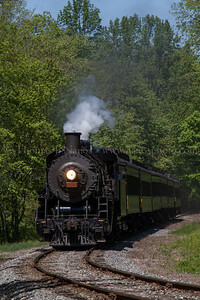 Take in Chester, CT on the Lerro Productions 2012 Valley Railroad photo charter. 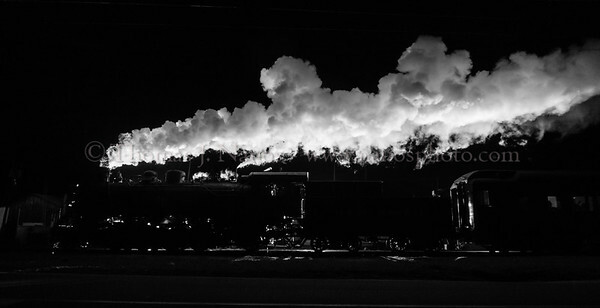 The second to last Valley Railroad North Pole Express of the 2014 season, led by Mikado No. 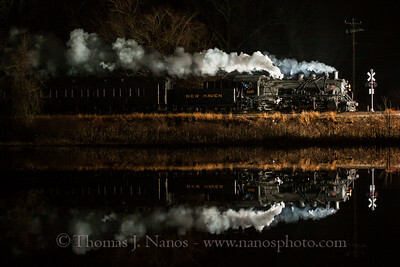 3025, crosses over Chester Creek in Chester, Connecticut on the evening of December 28, 2014. 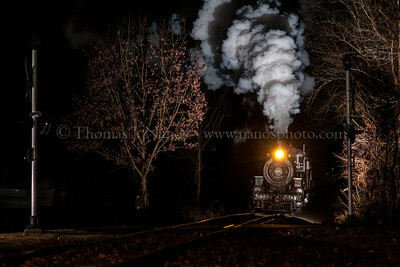 Fresh from the Shops Valley Railroad Mikado No 40 moves north through Essex Yard soon after her rebuild project was completed in 2007. 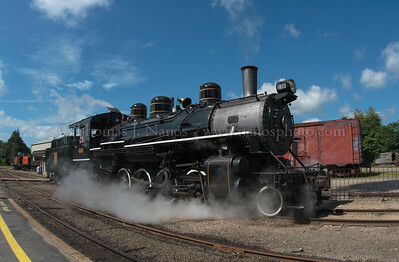 Valley Railroad veteran Mikado No. 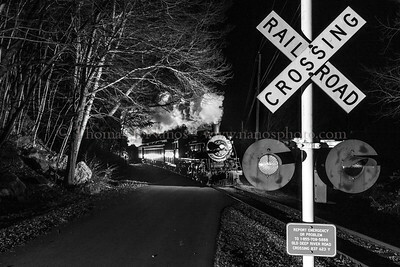 40 approaches the Dock Road crossing in Chester, Connecticut hauling a sold-out North Pole Express. 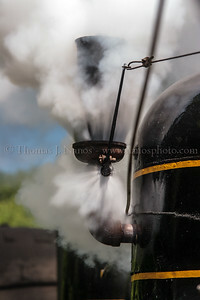 Valley Railroad Mikado No 40's steam whistle in action.